Top is yellow and white. DOES NOT INCLUDE SIDES AND MUST GO ON GRASS. 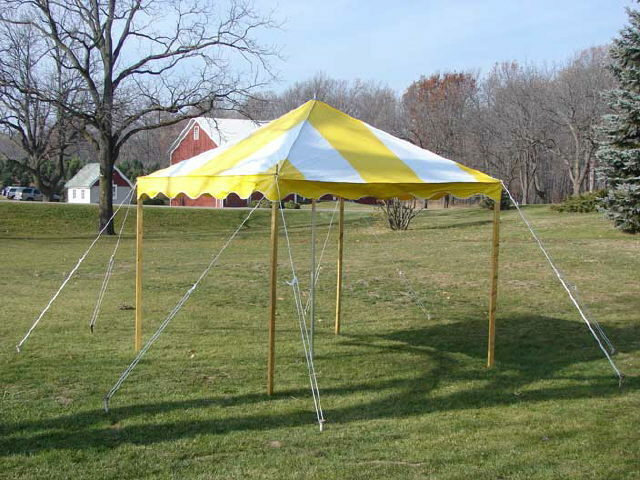 * : Please call us for any questions on our canopy 10 foot x10 foot y/w rentals in Jackson MI, serving Brooklyn MI, Jonesville MI, Ann Arbor, & Grass Lake in Michigan.